The Nexon breaks its volume record in January, helping to lift Tata up 55%. After breaking a new record in 2017 at 3.23 million units, the Indian new car market hasn’t lost its mojo and advances a further 7.4% in January to 284.369 wholesale deliveries. Maruti has an iron-clad grip on Indian sales charts with a gargantuan 48.9% share this month, albeit trailing the market at +4%. Below, Hyundai is up 8% to 16% and Mahindra up 14% to 7.7% but the hero of the month is Tata, surging 55% year-on-year to 7.1% of its home market, the highest share for the brand in over 5 years – since the 7.4% of December 2012. This is to be compared with a low of 3.3% in March 2016. 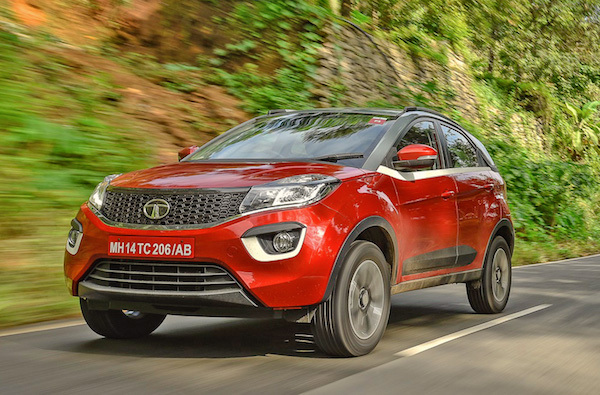 Tata is boosted by the Tiago (+53%) posting its 2nd best volume at 8.287 and breaking into the Top 10 for the first time, the Nexon breaking its volume record at 4.917 (#22) and the Tigor (3.172) at its best since last April. Honda (-5%) rounds up the Top 5 while Toyota (+19%) and Ford (+18%) impress but Volkswagen (-16%) and most critically Renault (-21%) implode. 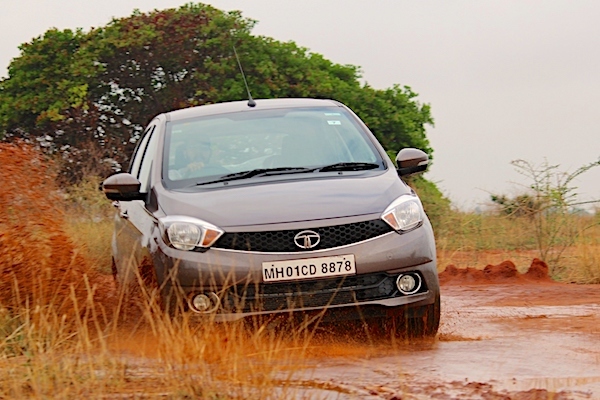 The Tata Tiago breaks into the Indian Top 10 models for the very first time. Model-wise, the Maruti DZire (+25%) is the best-seller for the 5th time in the past 6 months and will have a good shot at ending 13 consecutive years of Maruti Alto reign in 2018: it starts the year with a gap almost 3.500 units-wide with the Alto (-17%). Meanwhile the Maruti Baleno lodges a 7th month in a row on the podium and hits its 2nd largest ever volume at 17.770. As it was already the case over the FY2017, Maruti monopolises the Top 5 with the Swift (-1%) and Wagon R (-7%) in tow. The Maruti Vitara Brezza (+32%) isn’t far from making it 6 out of 6, ending the month just 324 units below the Hyundai Grand i10 (-7%). The Ford Ecosport (+82%), Toyota Innova Crysta (+30%), Mahindra Bolero (+24%) and Hyundai Creta (+17%) all post spectacular gains in the Top 15. The Renault Kwid falls 19% and drops 9 spots on December to #18 and the WR-V remains Honda’s best-seller in India. Full January 2018 Top 23 All-brands and Top 85 models below.